Arab countries are the home of some of the world's most popular construction business achievements, and the managing directors, chairmen, and chief executive officers (CEOs) that have led these record-breaking projects and companies must be recognised for the powerful impact that their work has had on the architecture and engineering communities not only in the Middle East, but around the world. The 2018 Construction Week Power 100 list, published in June last year, celebrated the leaders that have been instrumental in transforming the construction industry in the region. Some of these Arab-origin professionals have been in the industry for more than 30 decades, with their companies today involved with regional megaprojects such as the UAE's Expo 2020 Dubai and Saudi Arabia's Riyadh Metro. This story is another effort by the Construction Week team to recognise these influential and successful leaders of Arab origin, ahead of the publication of the 2019 Construction Week Power 100 this June. Please note that list is not a ranking, and has been compiled based on publicly available information, as well as data shared with Construction Week ahead of the publication of the 2018 Power 100 list. 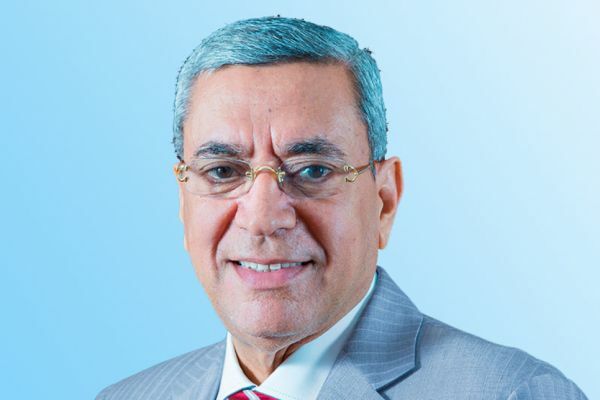 Having started his career with Arab Contractors in Egypt, Emad Azmy, president of ASGC Group, moved to Dubai in 1986 and founded the contracting company soon after. The UAE-headquartered firm is currently working as main contractor for the Address Harbour Point project in Dubai Creek Harbour, as well as building Expo 2020 Dubai’s Sustainability Pavilion. Its portfolio also includes developments such as the Green Community expansion's Phase 1. Azmy was ranked fourth on the 2018 Construction Week Power 100.